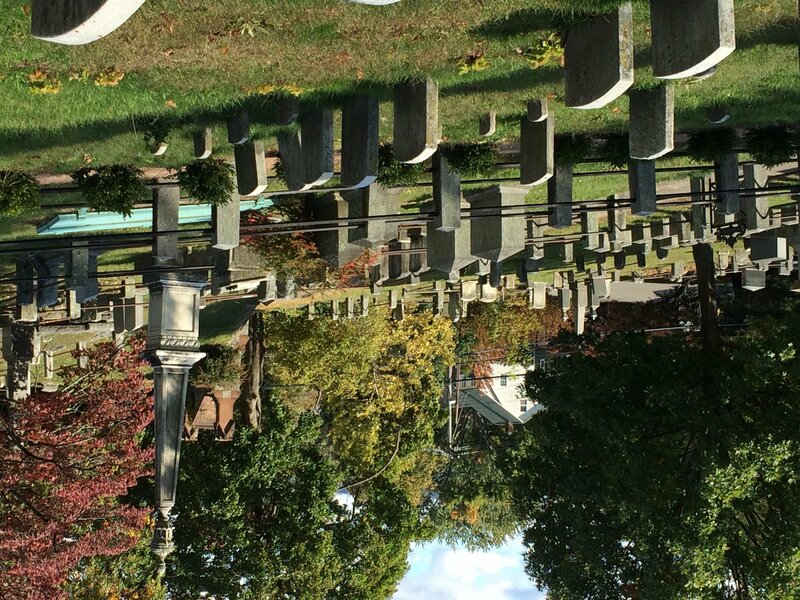 North Tarrytown changes name to Sleepy Hollow, N.Y.
Just a few of the hundreds of graves at the 90-acre Sleepy Hollow Cemetery stand in the autumn sunshine. Some of its well known residents include Andrew Carnegie (1835-1919); Walter Chrysler (1875-1940); Samuel Gompers (1850-1924); Leona Helmsley (1920-2007); and Washington Irving (1783-1859), whose short story, “Legend of Sleepy Hollow, put the village on the map. I couldn’t seem to differentiate between fantasy and reality, and these two tales gave me nightmares. 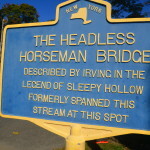 Then I discovered that Sleepy Hollow, N.Y., fictitious home of the Headless Horseman, actually exists. I put it on our list of must-sees for our trip to the Hudson Valley, about an hour’s drive north of New York City. Until about 20 years ago, Sleepy Hollow, population 10,000, existed only in Irving’s imagination and on a few historic maps. The actual town after which the author modeled his storied tales was North Tarrytown. 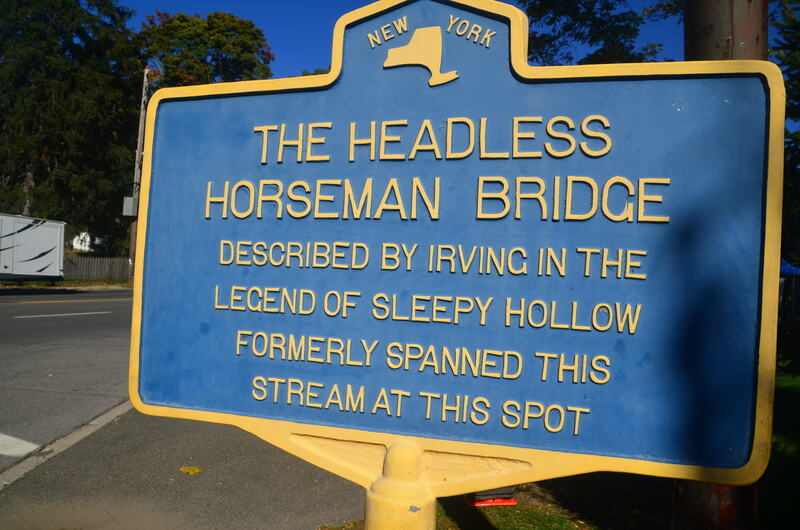 Then in 1996, after a couple of failed tries and much debate, residents voted 2-to-1 to change the name of the village to Sleepy Hollow, capitalizing on Irving’s 1820 tale and people’s growing fascination with the supernatural and Halloween. 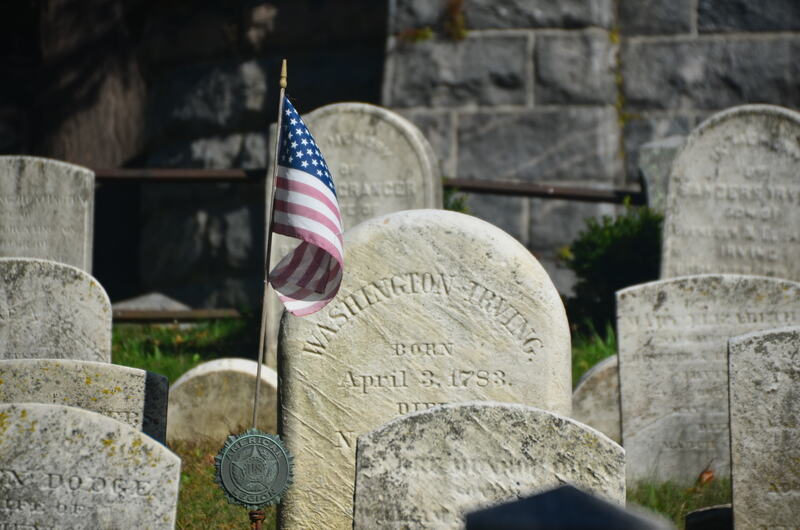 “Lots of people saw the name change as a new chapter in the town’s history,” says Sara Mascia, an archeologist, North Tarrytown/Sleepy Hollow native and our cemetery-tour guide. She refers to the town’s seriously ailing economy after a General Motors plant and 4,000 jobs left the area. As far as we could see on this late-October day, it was the right move. 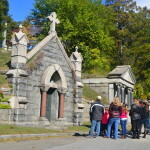 There are thousands of visitors who are here to attend autumn/Halloween festivities that include haunted houses, storytelling, a plethora of pumpkin, scarecrow and chrysanthemum displays, and the Sleepy Hollow Cemetery tour. 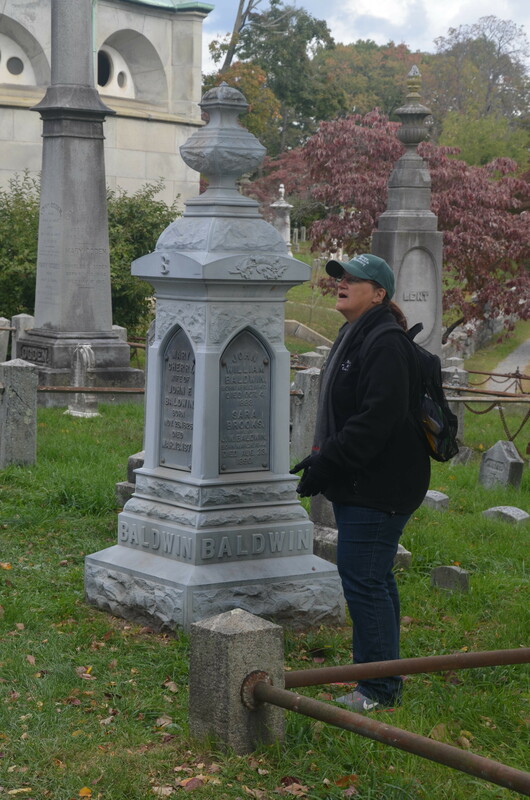 We are gathered at the south gate of the cemetery just off the village’s main street and the brisk breeze and low temperature have participants looking for patches of sunshine in which to stand. 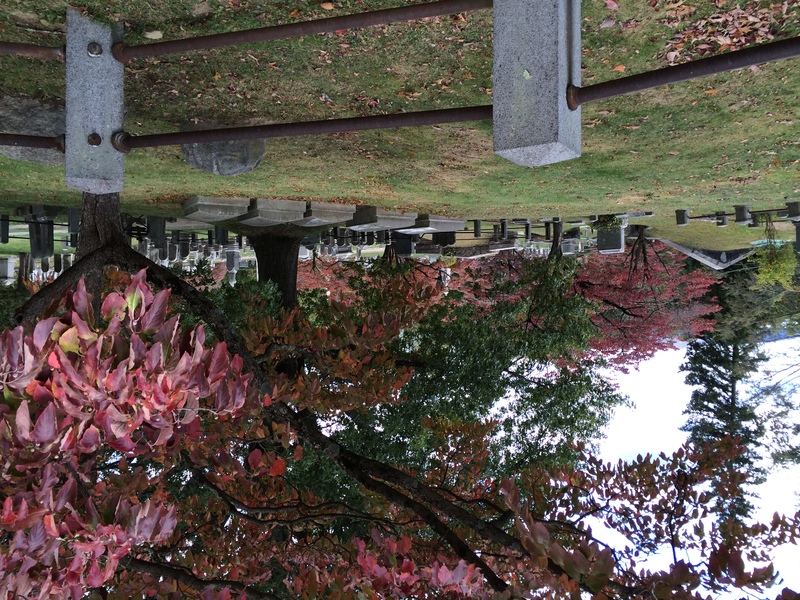 Sleepy Hollow Cemetery sits on a slope above and behind the historic Old Dutch Church and its much smaller cemetery. (There is no demarcation between the two.) 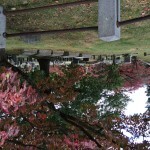 On the National Register of Historic places, the stone church was completed about 1697; the cemetery had already existed for possibly several decades. 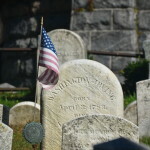 The church plays a prominent role in Irving’s “The Legend of Sleepy Hollow,” and his characters are based on people whom the author met or were a part of his life at various times. 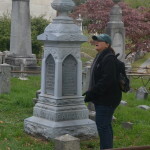 We follow behind Mascia as she takes us up, down and around the dirt roads of the grounds, telling us about the history of the cemetery; Irving’s life and literary career; the lives and deaths of other residents; burial customs (in the old days during New York winters, bodies had to be stored in a vault to await a time when the ground thawed); various types of tombstone materials and how they have changed through the years; and sculptures and artwork that are found throughout. Besides Irving, famous residents include socialite Brooke Astor; “Queen of Mean” Leona Helmsley; Samuel Gompers; Elizabeth Arden; Andrew Carnegie; Walter Chrysler; and William Rockefeller. At one point, we are standing on an elevation, and framed by a branch of scarlet leaves is the skyline of Manhattan, about 20 miles away. “Of course there was no such skyline in Irving’s day,” Mascia says, but I try to imagine what the trip from Sleepy Hollow to New York City would have been like in the early 1800s – perhaps not as treacherous as the highways are when the tsunami of Manhattanites heads toward the Tappan Zee Bridge on their way home to the city after a weekend in the countryside. 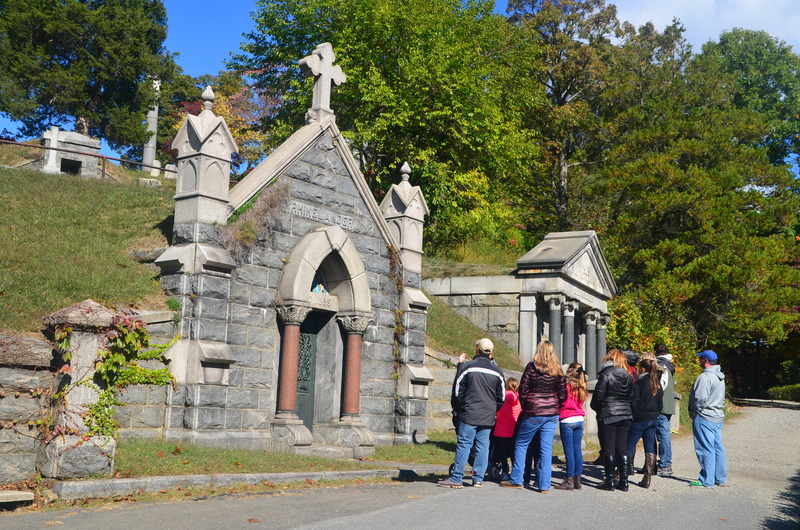 Maps of Sleepy Hollow Cemetery and self- guided tours also are available.